Hand pumps once a common sight and an integral part of human habitat have almost vanished from most of the urban areas especially in the developed countries due to advent of electric pumps and piped centralised water supply. A hand pump in London, that too without a handle, is therefore a strange sight. It, however, is not a remnant of some old pump but a memorial to John Snow, English physician and one of the founding fathers of epidemiology. 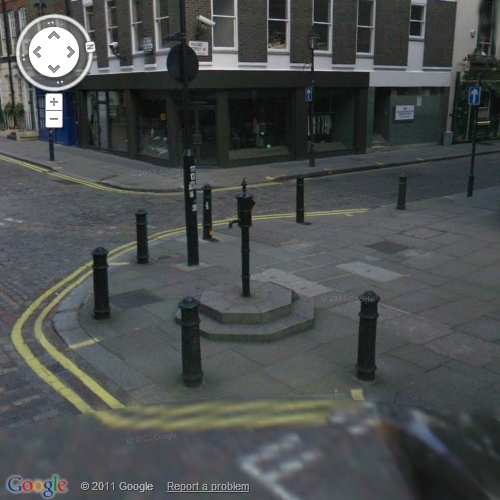 John Snow is most famous for tracing the source of deadly 1854 Cholera Epidemic in Soho, England. By mapping the addresses of the sick/dead persons and using statistics, he arrived at the conclusion that water from a public hand pump, which was installed at 40 Broad Street (now known as Broadwick Street), was epicentre and the main source of spread of disease, which had already killed more than 500 persons. At that time Cholera was considered to be an air-borne disease and the authorities were sceptic that it was being spread by drinking (contaminated) water. However they yielded to his strong plea for removal of handle from suspected pump. This reportedly resulted in containment of the disease and prevented further deaths. To honour the pioneering work done by John Snow in epidemiology and public health, a memorial in the shape of the suspect pump without a handle was later erected at the location.